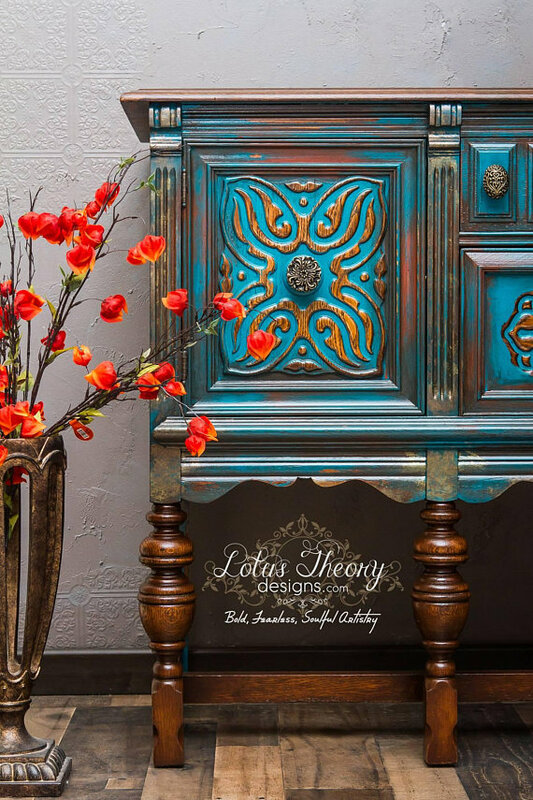 Today is an exciting day – we have Lotus Theory Designs guest blogging for us! 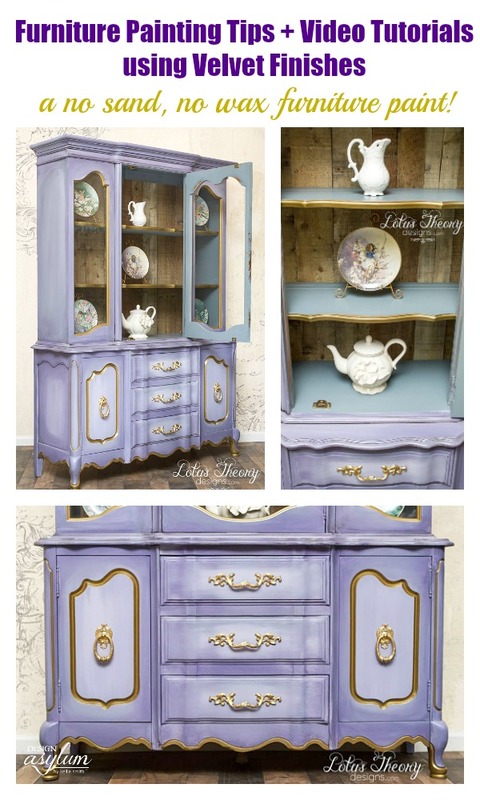 Bianca is a breath of fresh air to the furniture painting world and recently painted an amazing hutch with Velvet Finishes. She brings BOLD, FUNKY, FRESH, and LIBERATED works of art back to life, in an otherwise monochromatic world. 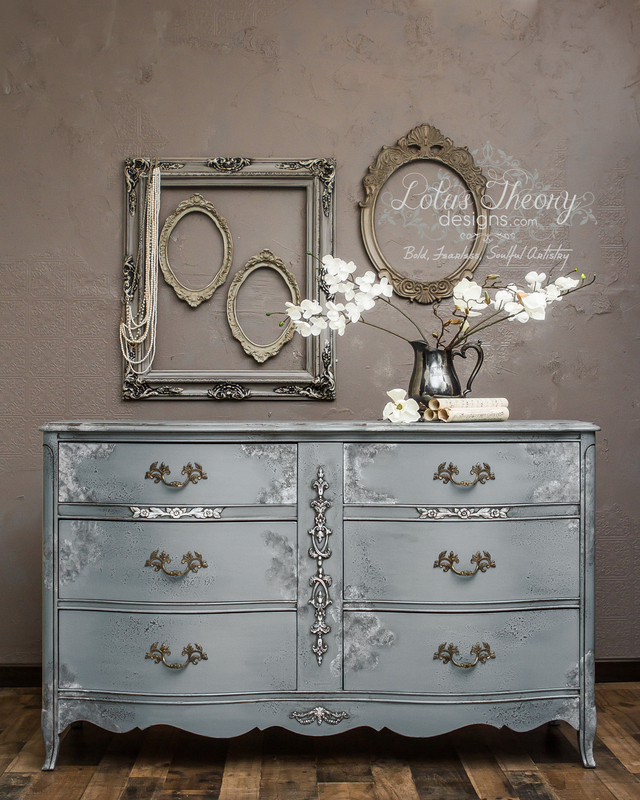 Her furniture is all about expressing the evolution of her personal journey through the wonders of re-design. So without further ado, get ready for Bianca…she’s a badass with a paintbrush friends! The Ultimate Guide to Halloween 2018! 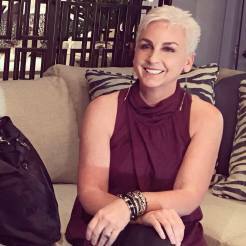 I thought I would chime in today before all of the spooky festivities begin with a little, err large, Halloween recap of sorts. 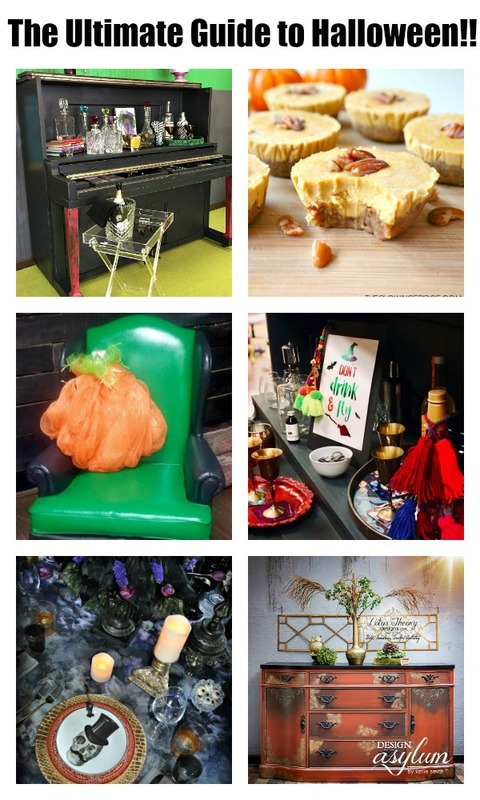 From adult beverages and vegan pumpkin recipes to orange/black furniture makeovers and thrilling tablescapes – you know you can read it all here at the asylum. Get your vodka and gummy bears ready, we are diving in witch feet first to a few of my favorite Halloween posts from years past. This is the ultimate guide to Halloween 2018!! 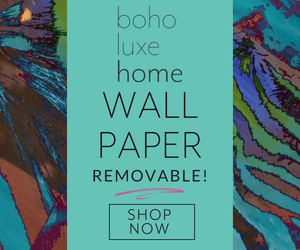 Bianca from Lotus Theory Designs is back, baby! 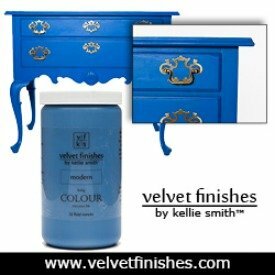 You remember her from these Velvet Finishes posts, right? 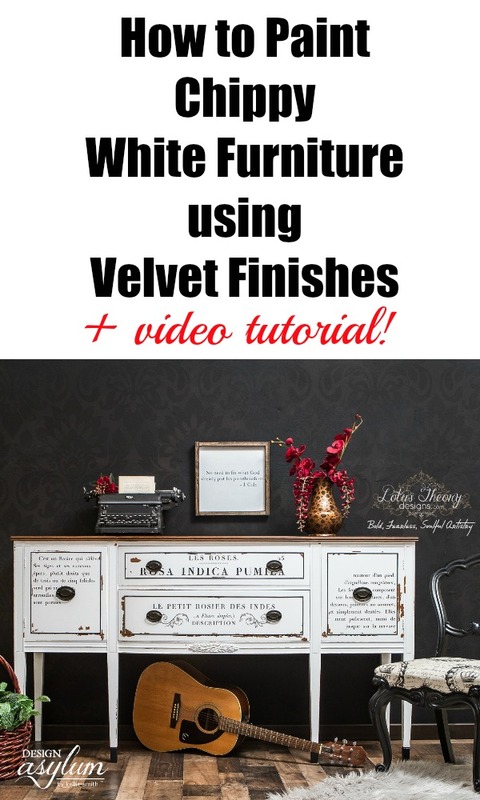 Today, she is going to teach us how to accent furniture with metallic paint. 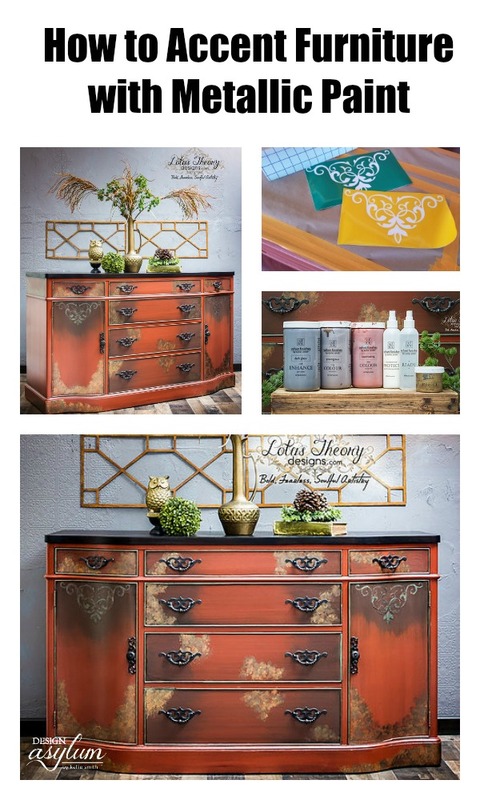 Ahh, metallic paint – something that adds a bit of shimmer, shine, luxe, and gorgeousness to a piece of furniture! 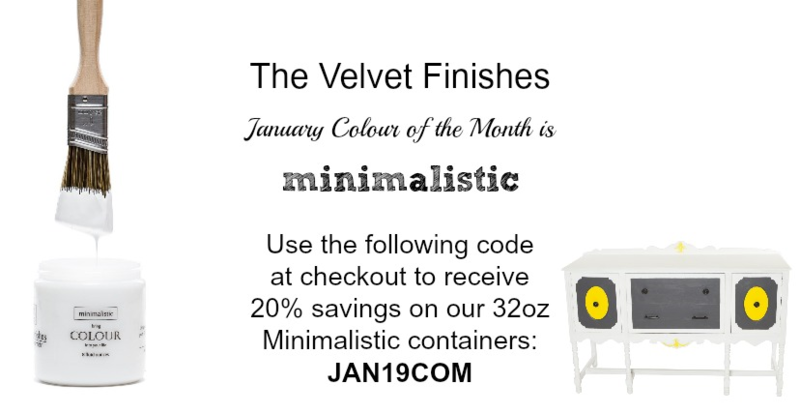 We offer three different metallics at Velvet Finishes – gold, pearl, and silver. Enough from me, Bianca is going to take over now – get ready to get your shine on! 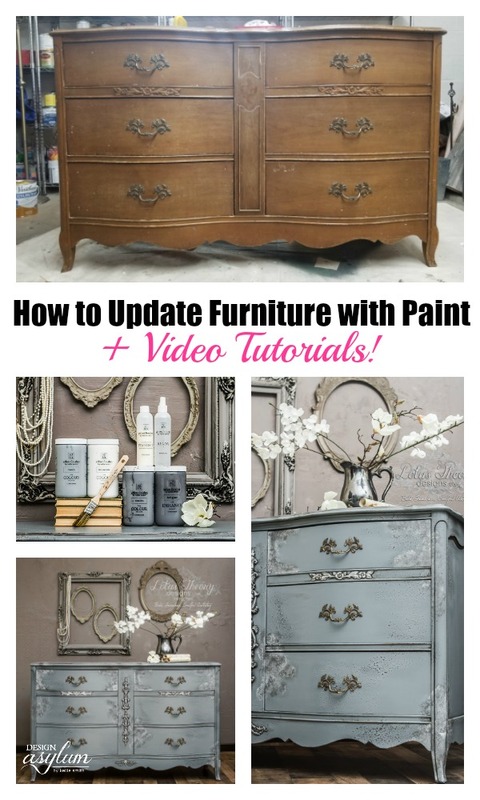 Today, she is going to teach us how to update furniture with paint! 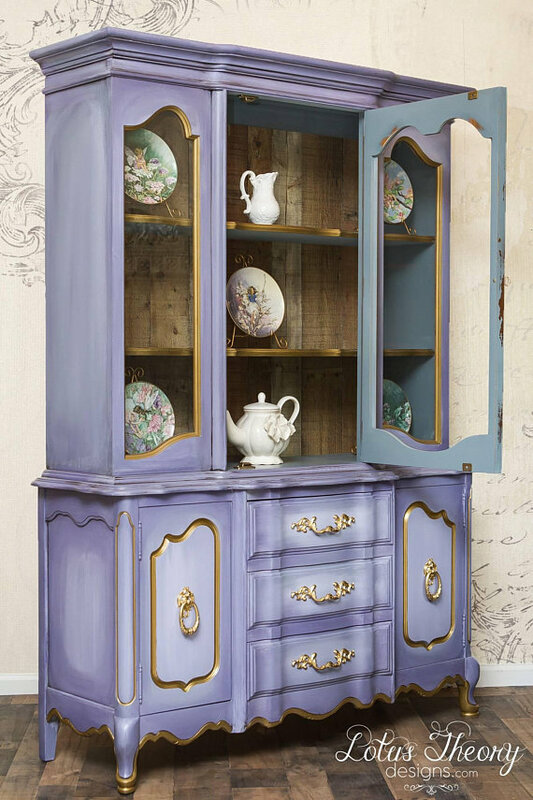 We all have old, perhaps outdated furniture pieces that are screaming for a makeover. 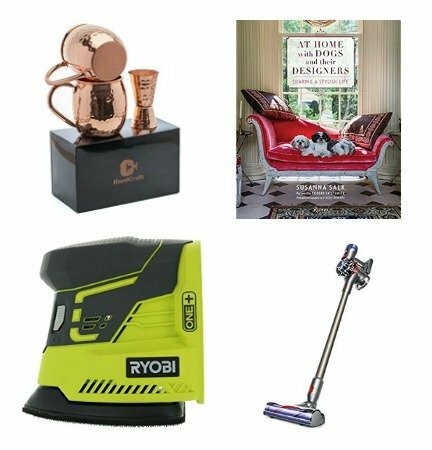 Refinishing thrift store, roadkill rescues, garage sale finds, etc. is a rewarding task. 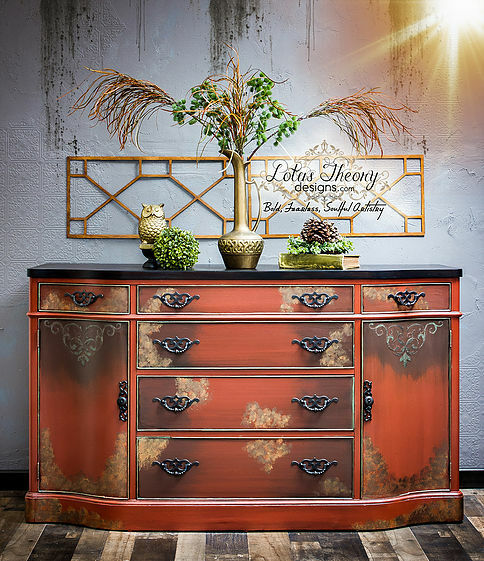 Whether you’re a beginner or an old pro – DIY furniture makeovers are something that anyone can do.